… Health risks increase for infants born to mothers living within 2 miles of a hydraulic fracturing site, according to a study published Dec. 13 in Science Advances. The research team found that infants born within a half a mile from a fracking site were 25 percent more likely to be born at low birth weights, leaving them at greater risk of infant mortality, ADHD, asthma, lower test scores, lower schooling attainment and lower lifetime earnings. “Given the growing evidence that pollution affects babies in utero, it should not be surprising that fracking, which is a heavy industrial activity, has negative effects on infants,” said co-author Janet Currie, the Henry Putnam Professor of Economics and Public Affairs at Princeton University. Using records from more than 1.1 million births across Pennsylvania from 2004 to 2013, the researchers compared infants born to mothers living near a drilling site to those living farther away from a site, before and after fracking began at that site. The most significant impacts were seen among babies born within .6 miles of a site, as those babies were 25 percent more likely to be low birth weight, that is born under 5.5 pounds. Infants born to mothers living between half a mile and 2 miles saw their risk of low birth weight decrease by about a half to a third. Infants born to mothers living beyond 2 miles experienced little to no impact to their health. This study follows previous work by Currie, Greenstone and others on the local economic benefits, which found the average household living near a hydraulic fracturing site benefits by as much as $1,900 per year. This was because of a 7 percent increase in average income, driven by rises in wages and royalty payments, a 10 percent increase in employment, and a 6 percent increase in housing prices. However, the authors cautioned that the housing prices could change if further information about the environmental and health impacts of hydraulic fracturing were revealed. The extraordinary growth in fracking—the hydraulic fracturing of deeply buried shale rock to extract natural gas—has transformed the United States over the past 15 years, boosting energy stocks, cutting pollution from conventional coal-power plants, and creating new jobs. But this boom may have come at a cost. According to the first large-scale study of babies born before and after natural gas extraction began in Pennsylvania, those living near fracking sites had significantly lower birth weights—and worse health—than other babies. Concerns about the health effects of fracking aren’t new. Absent solid evidence, some states, including Maryland and New York, have even banned the practice altogether. Now, a growing number of studies suggests that living near oil and gas developments is associated with a wide range of negative outcomes, from higher rates of asthma and migraines to more hospitalizations for cardiovascular disease, neurological disorders, and cancer. Earlier studies have also found associations with low–birth weight babies, but those were plagued by low sample sizes or a failure to show that health effects got worse closer to drilling sites, as expected if fracking were to blame. Now, health economist Janet Currie at Princeton University and her colleagues have tried to overcome those problems by looking at birth certificates for all 1.1 million infants born in Pennsylvania between 2004 and 2013—a period that spanned the drilling of thousands of fracking wells in the state, which now has more than 10,000 of them. The birth certificates included addresses and vital statistics for each infant, such as birth weights, total months of gestation, birth defects, and other abnormal conditions. The researchers overlaid those data on maps showing when and where wells were drilled in Pennsylvania. They then drew concentric circles around each site: one at 1 kilometer, one at 2 kilometers, and one at 3 kilometers. They found that infants born within 1 kilometer of a well were 25% more likely to have low birth weights (less than 2500 grams or 5.5 pounds) than infants more than 3 kilometers away, they report today in Science Advances . Babies born in the first circle also showed significantly lower scores on a standard index of infant health. Infants born in the outer circles—between 1 and 3 kilometers away—were smaller and less healthy than those who lived farther away, but they weren’t as bad off as babies born closest to the wells. To rule out other factors that could lead to poor health outcomes, including race and socioeconomic status, the team removed babies born in urban areas like Pittsburgh and Philadelphia, which have comparitively high rates of lower birth weight babies. They also compared siblings born to the same mothers who lived near fracking sites before and after it started. Although this sample size was small—only 594 infants exposed to fracking had unexposed siblings—it showed that the exposed infants were smaller and less healthy. The good news is that the effects don’t extend far beyond the fracking sites, Currie says. The study found no decrease in infant weight or health past 3 kilometers. But the team doesn’t know what aspect of fracking caused the low birth weights, which put babies at higher risk for infant mortality, asthma, attention deficit hyperactivity disorder, lower test scores, and lower lifetime earnings. Currie, who studies air pollution and health, says it’s likely air pollution from chemicals or the increased truck traffic and industrialization associated with fracking. 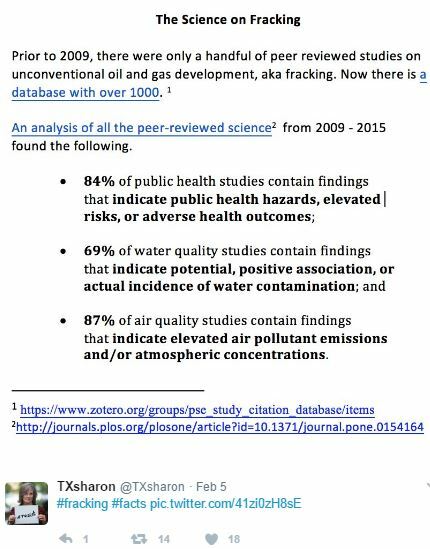 Water pollution is an unlikely culprit because many people in the study got their water from municipal sources not close to fracking sites. Though there is no “smoking gun” that proves how fracking impairs infant health, economist Don Fullerton—who studies how public policies affect the environment at the University of Illinois in Urbana—calls the evidence “convincing” and says it adds to other studies that have also found evidence of preterm births and other negative health effects. That makes it even more important, he says, to regulate what chemicals are used in fracking or how close wells can be to residential areas. *Update, 13 December, 5:12 p.m.: This story has been updated to include comment from the Marcellus Shale Coalition. Babies born to mothers who lived near fracking wells during pregnancy are more likely to experience negative health effects than babies born elsewhere, according to new research. Researchers behind the study, published in the journal Science Advances, found that living within 1 km (0.6 miles) of a fracking well during pregnancy increased odds of low birth weight by 25%. Low birth rates are associated with a slew of different health effects later in life, including various illnesses and developmental problems. The effect was lower but still significant in babies whose mother lived between 1 and 3 km (1.9 miles) from a well during pregnancy, according to the study. Researchers found little effect beyond 3 km. Fracking, which is short for hydraulic fracturing, has transformed the U.S. energy system in recent years by opening vast reserves of oil and natural gas once thought to be unreachable or too costly to exploit. That change has helped keep energy prices low and pushed coal, which is among the dirtiest fuels, out of top slot for energy in the U.S. 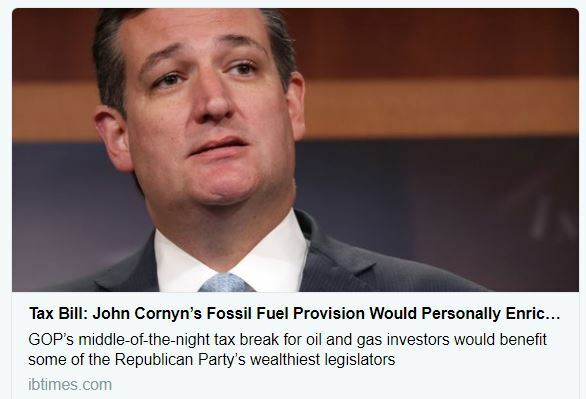 But lingering concerns about the health risks posed by fracking, as well as worries about natural gas’s contributions to climate change, have prompted widespread opposition from lawmakers and activists alike. New York, Maryland and Vermont have all banned the extraction process. The authors of the new study relied on data from more than 1.1 million births between 2004 and 2013 in Pennsylvania, where fracking wells pepper the state. When applied to the entire country, the findings suggest that annually some 29,000 newborns could be affected. … The authors of the new research estimated that, in 2012, about 29,000 of the close to 4 million annual births in the United States — roughly 0.7% of babies born each year — were to women who lived within about two-thirds of a mile of a hydraulic fracturing operation during their pregnancies. … Many of the toxic chemicals used in the hydraulic fracturing process are known carcinogens. Toxic gases, including benzene, are released from the rock by fracking. And the high-pressure pumping of a slurry of chemicals into the ground is widely thought to release toxins and irritants into nearby air and water. The noise and pollution emitted by trucks and heavy machinery also may affect the health of people living nearby. … The largest health impacts were found in infants born to mothers living the closest to active wells. Compared to those whose pregnant mothers lived about 10 miles or more away, these infants were 25% more likely to weigh less than 5 1/2 pounds and be classified as low birth weight, the authors found. For babies whose mothers lived between 1 and 3 kilometers from a well, researchers found birth-weight effects, but they were greatly diminished — less than half those found among babies born to women living within 1 kilometer of a well. The findings suggest that fracking’s impacts on newborns’ health “are highly local,” the authors wrote. “This study provides the strongest large-scale evidence of a link between the pollution that stems from hydraulic fracturing activities and our health, specifically the health of babies,” said coauthor Michael Greenstone, an economist and director of the Energy Policy Institute at the University of Chicago. ….the results add to a growing body of evidence suggesting that fracking exacts a toll on the health of populations living in close proximity to wells. A study of Pennsylvania published in August 2016 found higher rates of migraine headaches, fatigue, and nasal and sinus symptoms in people who were at greater proximity to fracking operations. Another study, conducted in southwest Pennsylvania, where fracking wells are heavily concentrated, found an increase in cases of bladder cancer, but not of thyroid cancer or leukemia, that was steeper in counties where well density was highest. In research that examined a Colorado registry of cancer cases, another study found that people aged 5 to 24 who were diagnosed with acute lymphocytic leukemia were more likely to live in areas with a high concentration of oil and gas activity. Other studies have focused on pregnancy outcomes and infant health. In one conducted in North Texas — where fracking wells abut diverse populations of urbanites — researchers found an increased risk of preterm birth, and a slight increase in fetal death, among pregnant women living close to greater concentrations of fracking wells. But it failed to find an association between a pregnant woman’s proximity to fracking wells and her likelihood of giving birth to a child who was either small for its gestational age or who was born at term at less than 5½ pounds. Many of these studies have been faulted for methodological weaknesses, and their findings have been assailed by oil and gas industry groups. Weill Cornell public health researcher Madelon L. Finkel, who has conducted some of the early research, acknowledges that the findings are preliminary. Cancer and many other outcomes can take decades to become evident, while the widespread practice of hydraulic fracturing is not quite a decade old, Finkel said. “But we’re beginning to see a pattern: that living near these sites does elevate risk compared to living further away,” said Finkel, who was not involved in the Science Advances study. University of Pennsylvania neonatologist Dr. Rebecca Simmons praised the new study’s design and the researchers’ focus on low birth weight as a factor potentially affected by proximity to fracking wells. Simmons, who was not involved in the Science Advances study, acknowledged that many factors contribute to low birth weight, including poverty and poor nutrition. Increasingly, however, environmental factors are gaining their share of attention and research. Coauthor Katherine Meckel, an assistant professor at UCLA, acknowledged that the study could not pinpoint the source of the environmental hazards that affect human health and birth weight. The development of hydraulic fracturing (“fracking”) is considered the biggest change to the global energy production system in the last half-century. However, several communities have banned fracking because of unresolved concerns about the impact of this process on human health. To evaluate the potential health impacts of fracking, we analyzed records of more than 1.1 million births in Pennsylvania from 2004 to 2013, comparing infants born to mothers living at different distances from active fracking sites and those born both before and after fracking was initiated at each site. We adjusted for fixed maternal determinants of infant health by comparing siblings who were and were not exposed to fracking sites in utero. We found evidence for negative health effects of in utero exposure to fracking sites within 3 km of a mother’s residence, with the largest health impacts seen for in utero exposure within 1 km of fracking sites. Negative health impacts include a greater incidence of low–birth weight babies as well as significant declines in average birth weight and in several other measures of infant health. There is little evidence for health effects at distances beyond 3 km, suggesting that health impacts of fracking are highly local. Informal estimates suggest that about 29,000 of the nearly 4 million annual U.S. births occur within 1 km of an active fracking site and that these births therefore may be at higher risk of poor birth outcomes.